I have been walking 5-10 miles a day this summer. I really look forward to it every morning! I try to walk with my daughter to where she works and then I continue on, over the bridge, the view is always breath taking of the harbor, yachts, birds and water. It is never boring for me, we live in a beautiful place. I also look forward to my breakfast when I return home from my long walk. 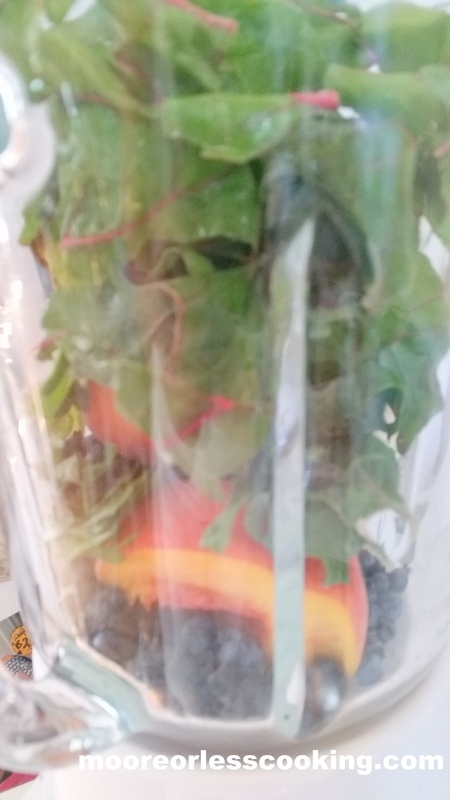 Since it’s summer and I have loads of fresh fruit, I throw everything into the blender and have a delicious smoothie. 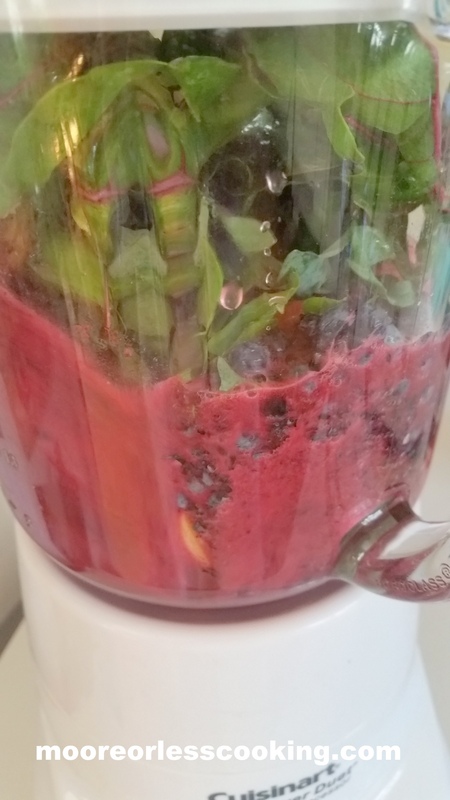 My gardens are full of swiss chard and kale, so I throw a handful of those in the blender too, more vitamins for me and I really can’t taste the veggies at all. Good Belly.com has some delicious body shots and drinks that I have been incorporating into my smoothies. They are wonderful and so good for you. I suffer from migraines and hubs has reflux. So we have taken the 12 day challenge with our Goodbelly shots. My kids are doing it to, they love the Tropical Orange Juice. GoodBelly drinks are certified organic, non-GMO, dairy-free, soy-free and vegan and are available in a variety of size and flavors to suit any taste and health & dietary needs. Made with the most well-researched probiotic strains, Lactobacillus plantarum299v , LP299V, each serving of GoodBelly works to support a healthy digestive system by replenishing the gut with a balance of microflora. In flavors like Mango, Pomegranate Blackberry, Blueberry Acai, Strawberry and more, the variety of sweet recipes is endless! So, raise a shot or glass to GoodHealth – it starts with a GoodBelly! I love the Blueberry Acai, it is delicious. The perfect healthy smoothie add-in, or simply a tasty standalone supplement, GoodBelly drinks add an essential daily boost of probiotic goodness for optimal vitality. Gluten-Free GoodBelly Multi-Serving Cartons –Tropical Orange and Coconut Water are the perfect options for those who live a gluten-free lifestyle. Certified gluten-free by the NSF, these drinks offer a daily dose of live and active probiotic cultures. Tropical Orange offers 100 percent of the daily recommended value of vitamin C per 8 oz. serving and Coconut Water combines powerful probiotics with hydrating electrolytes. Available in 32 oz. cartons to drink by the glass. 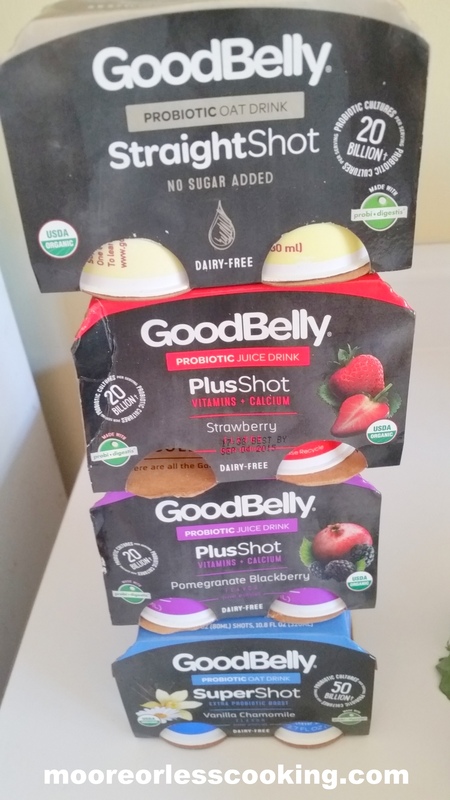 Organic GoodBelly PlusShot – A probiotic juice shot with your daily dose of live and active probiotic cultures, plus essential vitamins and calcium to maintain a healthy and balanced system. Sold in packs of four 2.7 oz. shot servingsand available in Blueberry Acai, Strawberry, Mango, and Pomegranate Blackberry flavors. Organic GoodBelly SuperShot – A super serving of live and active probiotic cultures for an extra boost! Ideal for sluggish digestion or flare-ups, and for replenishing the gut during an antibiotic regimen. Sold in packs of four 2.7 oz. shot servings with no sugar added, and available in Lemon Ginger and Vanilla Chamomile flavors. GoodBelly products are available nationwide in the refrigerated section of grocery, natural and specialty retailers, including Whole Foods Market, Safeway, Kroger, Sprouts Farmers Market, King Soopers, Ralph’s, The Fresh Market, Hannaford, Vitamin Cottage, Wegmans and more. Please visit www.goodbelly.com for locations near you. Do the 12 Day Belly Reboot! — or your money back. Will you do the 12 day challenge with me? 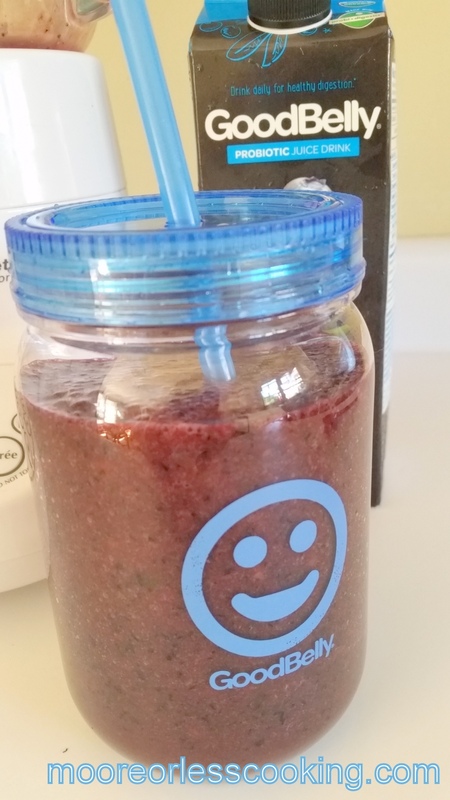 A delicious fresh fruit smoothie with fresh peaches, blueberries, banana and Good Belly Blueberry Acai Juice. Place all ingredients in blender, chop, then blend until smooth. Pour into a glass, enjoy! One lucky reader will win VIP Good Belly vouchers. Good Belly is responsible for prize fulfillment. This post is sponsored by Goodbelly.com. All opinions and thoughts are my own as always. 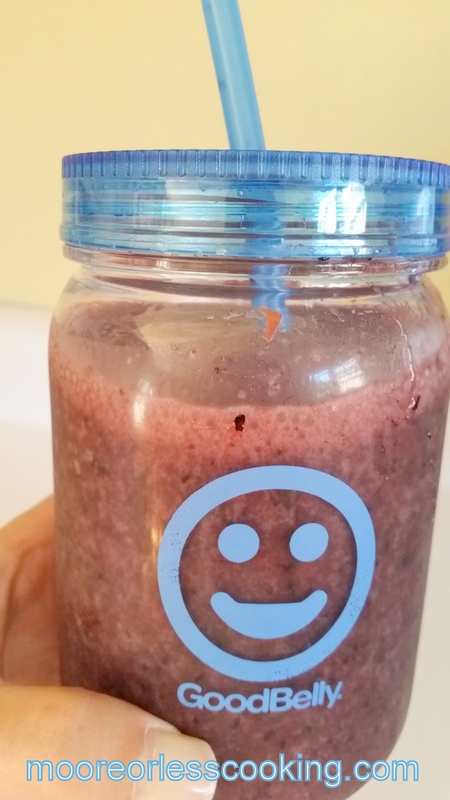 I would like to make a strawberry, banana, orange smoothie with chia seeds. 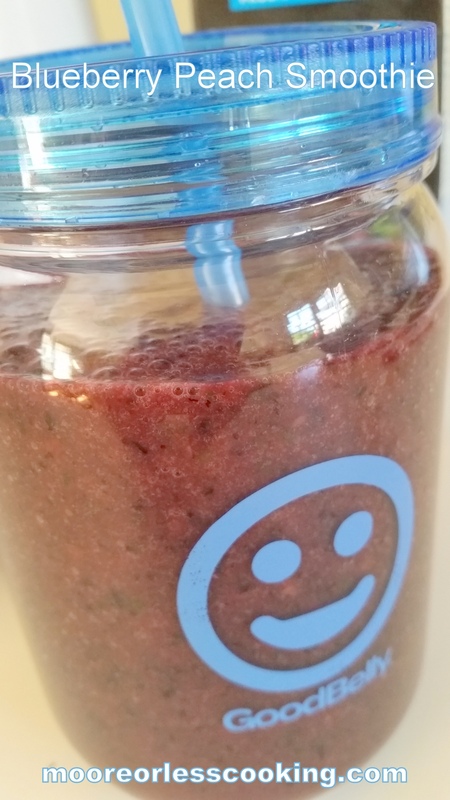 I would love to make a berry smoothie, with strawberries, blueberries, blackberries, and raspberries! Yummy!! I would add the Pomegranate Blackberry to my favorite drink which is mango/blueberry oatmeal/chia seeds. I would like a strawberry pomegranate smoothie! I would make a strawberry rhubarb and orange smoothie, and a lemon peach apricot one too. Some chia seeds would be great for that smoothie. 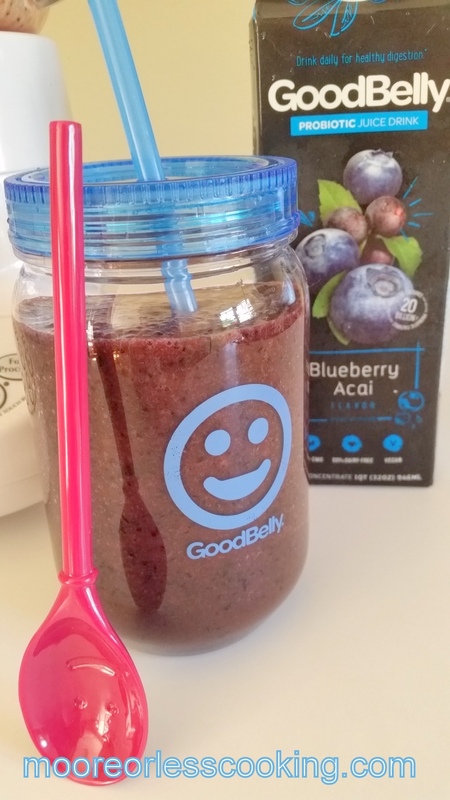 What Smoothie would you make with GoodBelly? I would make a banana strawberry smoothie! I would make a mango, peach, banana smoothie. 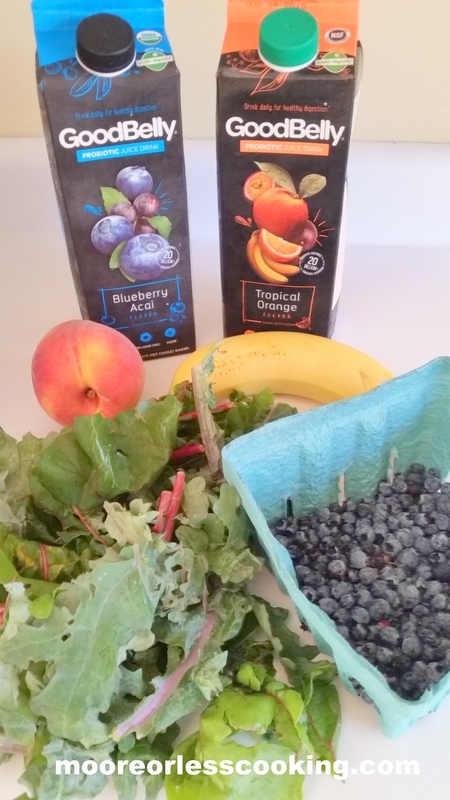 I’d make a peach lemon ginger smoothie with the GoodBelly SuperShot lemon ginger flavor…yum! I can’t decide what to try next!!! This smoothie looks wonderful. I never heard of Good Belly before. I love learning about new products and brands. Thanks for sharing.